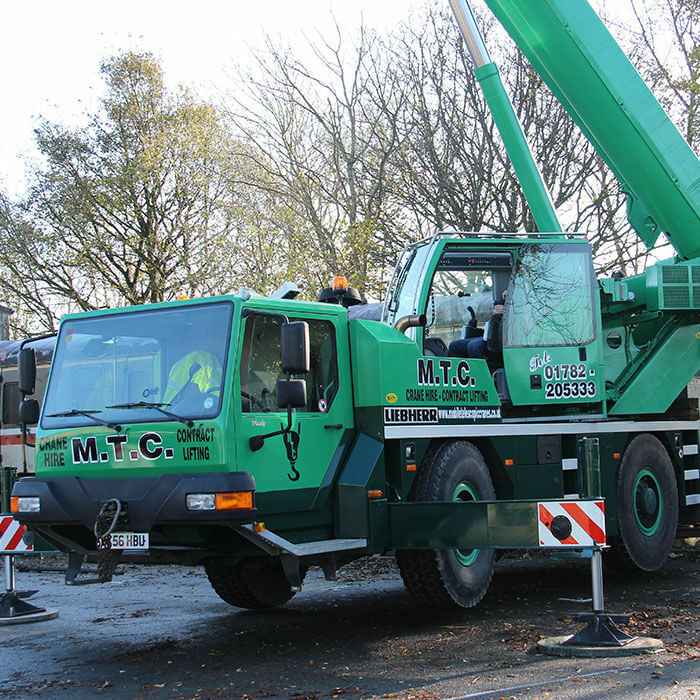 For those customers who have gained the necessary qualifications and experience, M.T.C are the company of choice when it comes to mobile crane hire across England and Wales, and can supply vehicles with a lifting capacity of up to 100 tonnes. 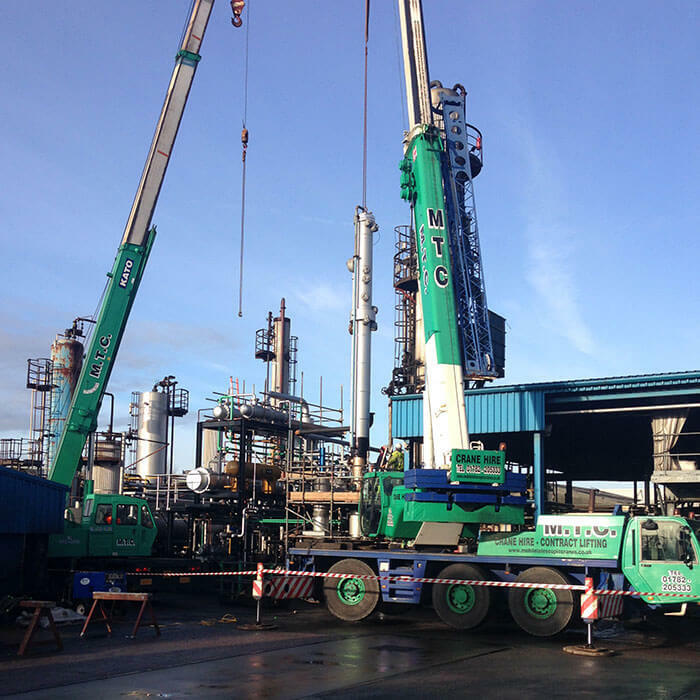 In addition to specialist mobile cranes for hire, we also provide skilled operators. Following important health and safety protocol is of the highest priority, and we operate in accordance with the CPA terms and conditions pertinent to our hire service. The customer is responsible for ensuring that a thorough risk assessment has been carried out, and must also provide a method statement for the crane and the crane operator whilst the crane remains on the customer’s site. The customer is also responsible for providing valid insurance for the crane during the course of the mobile hire term, as well as for its personnel, and must have valid public liability insurance. This ensures that the crane, the crane operator, and all members of the public are well protected should the need arise. Our mobile crane fleet is maintained to the highest standards to ensure reliable, safe, and effective use of the equipment. Slingers are also available for hire at daily rates. Under the model terms of the CPA Crane Hire Agreement, the Hirer must take responsibility for the crane and operator from the moment they arrive on site, which includes any travel on access roads once the crane has left the nearest public highway. The Hirer must plan the lift using a competent Appointed Person to produce a Method Statement and Risk Assessment for the lifting operation in accordance with BS 7121 and Health and Safety Guidelines. The Appointed Person must have the knowledge and understanding of all aspects of the lifting operation including the characteristics of the load, ground conditions, crane capacities and outrigger loadings. It is also the responsibility of the Appointed Person to ensure that all equipment used in the lifting operation is appropriate and carries the necessary test certificates. He is also responsible for ensuring all personnel involved in the lift are competent to perform their duties. 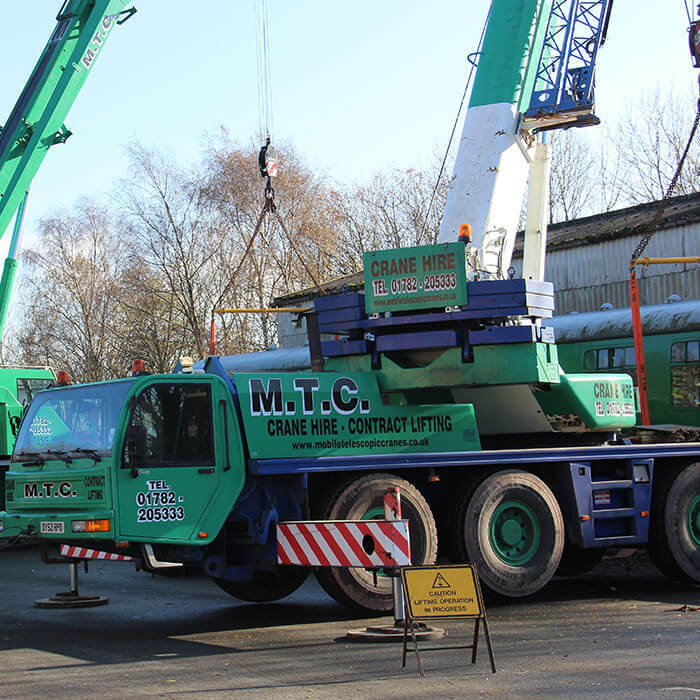 Mobile Telescopic Cranes are specialists in not only crane hire but also mobile crane hire and also telescopic crane hire, we operate our services all the way through Stoke-on-Trent along with the Staffordshire county. We have more than 35 years of know-how and understanding within the crane hire industry. Here at Mobile Telescopic Cranes, we firmly believe that our clients are the center point of what we do. We recognise that motivated, highly skilled and qualified individuals are crucial for us as a company to construct a competitive edge within the crane hire market. Our team of highly experienced individuals bring together an abundance of knowledge which we put to work for our customers’ benefit. If you’re serious about mobile telescopic cranes or crane hire in Stoke-on-Trent, look no further than Mobile Telescopic Cranes. 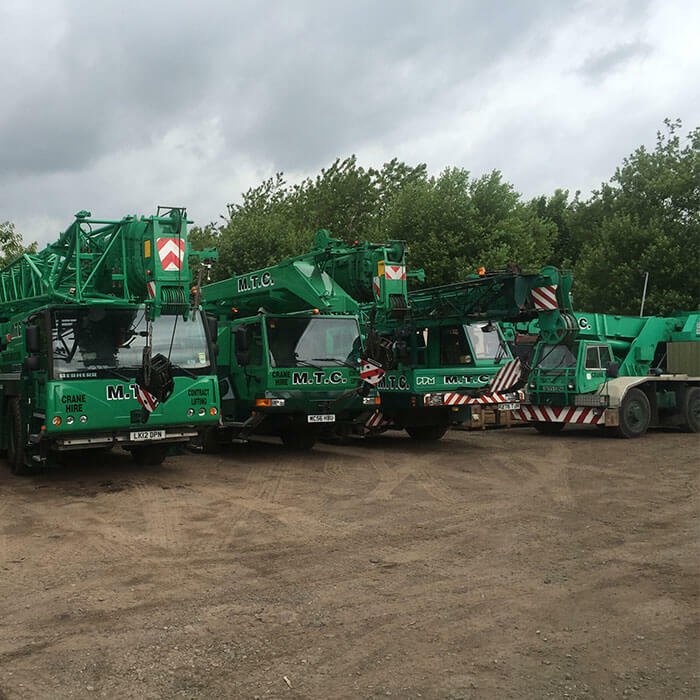 We are a crane hire provider located within Stoke-on-Trent which provides the perfect crane hire service to all of our clients, new and present.